GREENSBORO, N.C., June 17, 2015 /PRNewswire/ – On June 27th 2015 Dynamic International Airways will be celebrating its first anniversary since entering Guyana market. After our initial bumpy start, Dynamic International Airways was been able to accomplish its goal in establishing itself as the preferred carrier of Guyanese. We have proven sustainability of air service between United States and Guyana as well as progressively increased our customer service levels. Since inauguration, Dynamic International Airways has been able to expand its non-stop service between New York, NY and Georgetown, Guyana. Service started initially two times per week and expanded to five times per week this coming high season while still keeping its pricing low and affordable for Guyanese and members of Guyanese ethnic in New York. “Our goal in the first year of service was to establish ourselves as the preferred carrier of Guyanese. We achieved this by maintaining the highest safety records, delivering the most desirable schedule, and reached highest on time performance standards as well as exemplary customer service. Our goal for the immediate future is to build upon that momentum and expand our non-stop JFK to GEO service by operating daily frequency. Most importantly continue raising the bar in our safety, reliability, and customer service standards,” said Bill Grey CSO of the company. Dynamic International Airways is a US Certificated FAR PART 121 AIR CARRIER. The Airline changed ownership and management in 2013 with the goal of providing high quality, affordable, long haul, point-to-point air service. Dynamic Airways, which is headquartered in Greensboro, NC, offers service from airports in New York, Guyana, Florida, Hong Kong, Palau with its fleet of B767 wide body aircrafts. Recently company has added International in its official name as reflection of its transition into long haul carrier. For reservations & information, visit www.airdynamic.com, www.facebook.com/airdynamic, www.twitter.com/flyairdynamic, contact your favourite travel agent or call (336) 790-8176. CaribPR Wire, NEW YORK, NY, April 23, 2012: A panelist at the first green investment forum at the Caribbean Tourism Organization’s Sustainable Tourism Conference believes waste to energy plants in the region could help solve the problems of high power cost. Tony Fiddy, President of the Waste to Energy Division and Regional Vice President for Europe and Africa, Naanovo Energy Inc., says waste to energy plants could lower the power costs of many nations tremendously. “In St. Kitts we will be building a plant and selling power for US.20 cents to the government there, resulting in a huge savings that will be passed along to the consumer,” said Fiddy, a panelist on the “Going Green” Invest Caribbean Now Forum, organized by Felicia Persaud’s Hard Beat Communications and the CTO, and held on Wednesday, April 18, 2012, from 8:30 to 10 a.m. at the Guyana International Conference Centre in Liliendaal, Guyana. The forum also featured Loreto Duffy-Mayers, Project Manager for the Caribbean Hotel Energy Efficiency Action (CHENACT) Programme and Ujjwal Bhattacharjee, a specialist in renewable energy and energy efficiency with a focus on technology, investment and policy and a consultant on the CHENACT project. The forum was a partnership between the CTO and Invest Caribbean Now, the brand founded by Felicia Persaud, the Guyana-born CEO of the New York-based digital media company Hard Beat Communications. “No region offers more long-term growth prospects for renewable energy than the Caribbean,” said Persaud. Last year, according to the UN Environment Program, investors pumped a record two hundred and 11 billion US dollars into renewables globally and this is projected to grow to 1.7 trillion by 2020. Of the 211 billion, $72 billion was invested in developing countries vs. $70 billion in developed economies. South and Central America secured $13.1 billion of that amount. The Caribbean was not accounted for in this study. The Caribbean Tourism Organization has been staging its Annual Conference on Sustainable Tourism Development, otherwise known as the Sustainable Tourism Conference (STC), since 1997. 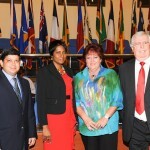 The 2012 conference was presented by the CTO and hosted by the Government of Guyana from April 15-18, 2012. 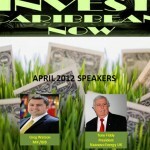 Partners for the April 18th Green Investment forum included One Caribbean Television, CaribPR Wire and News Americas Now. 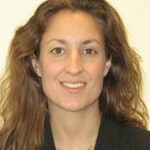 Jennifer Baldwin, Research Fellow, Energy and Environment, Multilateral Investment Fund (MIF), Inter-American Development Group. CaribPR Wire, NEW YORK, NY, Mar. 16, 2012: Caribbean businesses have great potential to cut high energy costs by investing in renewables. That’s according to Jennifer Baldwin, Research Fellow, Energy and Environment, Multilateral Investment Fund (MIF), Inter-American Development Group, and one of three panelists who will address delegates at the inaugural “Going Green” Invest Caribbean Now Forum, part of this year’s Caribbean Tourism Organization’s 13th annual Sustainable Tourism Conference. The CTO is partnering with Invest Caribbean Now, the brand founded by Felicia Persaud, the Guyana-born CEO of the New York-based digital media company Hard Beat Communications, to present the inaugural green forum – set for April 18, 2012 from 8:30 to 10 a.m. at the Guyana International Conference Centre, Liliendaal. Currently, renewable energy provides less than two percent of the Caribbean region’s commercial electricity. Other presenters of the April 18th forum will include Tony Fiddy, President of the Waste to Energy Division and Regional Vice President for Europe and Africa, Naanovo Energy Inc. who will discuss Naanovo’s focus on helping the Caribbean region move away from fossil-fuels and into alternative energy. Partnership and exhibitor opportunities to be a part of the historic Green Forum are available by calling 1-646-820-5694 or emailing Joe Bernstein at joe@investcaribbeannow.com. To attend STC 13, log on to http://www.caribbeanstc.com/register Partners to date for the April 18th Green Investment forum include One Caribbean Television, CaribPR Wire and News Americas Now. CaribPR Wire, NEW YORK, NY, Feb. 10, 2012: The first Green Investment power forum has been added to the Caribbean Tourism Organization’s 13th annual Sustainable Tourism Conference and is set for Guyana this April. The CTO is partnering with Invest Caribbean Now, the brand founded by Felicia Persaud, the Guyana-born CEO of the New York-based digital media company Hard Beat Communications, to present the inaugural green forum. The event is set for April 18, 2012 from 8:30 to 10 a.m. at the Guyana International Conference Centre, Liliendaal and will feature Greg Watson, head of the Climate Change team at the Multilateral Investment Fund (MIF) of The Inter-American Development Group and Tony Fiddy, President of Naanovo Energy UK Ltd.
Persaud explained that the green forum will be similar to the company’s Invest Caribbean Now New York forum, which took place last June in New York, allowing presentations from both speakers while giving ministers of government, tourism officials, entrepreneurs and other delegates the opportunity to pitch their investment ideas and prospects to both Watson and Fiddy. The successful June 9, 2011 event at the New York Marriott Marquis Hotel featured over 300 money managers, investors, hoteliers, ministers of governments and real estate developers as part of the Caribbean Tourism Organization’s Caribbean Week in New York series of events. The event returns this June 6th to New York City and will feature CEO of McKinney Rogers, Damian Rogers as the key note speaker along with the chairman of Blue Equity, LLC, Jonathan Blue and President of Solamon Energy, Jay Neo. Watson re-joined the Multilateral Investment Fund of the IDB Group in 2008, having previously worked there from 2004-2007. He serves as the team leader for the MIF’s environment and clean energy team, conceptualizing, overseeing, and implementing the MIF’s climate change projects, investments and research in clean and efficient energy, natural capital, and adaptation. Watson leads several projects in the Caribbean, including a recent regional project on adaptation, projects on energy efficiency in Jamaica and Barbados, and a project on sustainable tourism and biodiversity in Guyana. Reporting to the President and CEO of Naanovo Energy Inc., Fiddy holds the dual position of President of Naanovo’s Waste to Energy Division and the Regional Vice President for Europe and Africa. As head of the WTE Division, his primary responsibility is to oversee the global deployment of WTE/MaaxTM systems and to work with regional representatives of Naanovo and its subsidiaries in the development of WTE projects. This includes projects in the Caribbean, among them St. Kitts/Nevis. Partnership and exhibitor opportunities to be a part of the historic Guyana Green Energy forum are available by calling 1-646-820-5694 or emailing Joe Bernstein at joe@investcaribbeannow.com. Guyana has become a key player in the reduction of global greenhouse gas emissions which significantly contribute to climate change. The Caribbean Tourism Organization has been staging its Annual Conference on Sustainable Tourism Development, otherwise known as the Sustainable Tourism Conference (STC) since 1997. This conference will be keynoted by former Guyana President Bharrat Jagdeo on April 15th and is part of the information dissemination and regional awareness component of CTO’s Strategy for Sustainable Tourism. STC also serves as a primary arena where new and creative ideas about enhancing the competitiveness and sustainability of the Caribbean tourism product are generated. Partners to date for the April 18th Green Investment forum include One Caribbean Television, CaribPR Wire and News Americas Now. CaribPR Wire, NEW YORK, NY, Fri. April 2, 2010: Guyana-born award-winning cultural ambassador, natural lifestyle consultant and master drummer, Menes De Griot, is set to bring a traditional twist to Easter celebration in his country of birth this weekend. Griot, son of the late Art Sebastion Broomes, will be celebrating Easter in true Kweh Kweh tradition on the Essequibo Coast from April 5 – 7th. The true essence of Kweh Kweh is set for Lot 14 Reliance, Essequibo, Guyana. The three-day event is being presented in memory of Josephine Kellman, better known as Ma or Aunt Elvy, the matriarch of the Kellman clan, and the late Mondelle Kellman. Joining in the celebration will be Essequibo’s number one cultural icon, Leary Mc Kenzie and his group Afida of Linden, singer Syd Hooper, saxophone player Wilbert Saxie, Guyana’s legendary pan player, tuner, pan maker and arranger Frank Nigerian Lynch and John Miller on drums. Menes De Griot, who has performed throughout the world promoting and lecturing on Guyana’s culture, will also host a village town hall gathering on Wednesday April 6th focusing on health and wellness. Menes De Griot has received many community and political citations for his work in New York and is the winner of cultural awards from the Ifaorisa International Organization of Trinidad and the Guyana Cultural Organization of Canada. He continues a 17-year tradition as part of the Medgar Evers College of New York’s tribute to the ancestors.